Symptoms list with links are shown below. 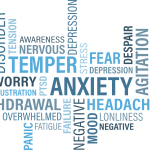 The titles link to further explain some of the anxiety driven conditions effectively treated using conventional Hypnotherapy at the Hampshire Hypnotherapy clinic. Take the first important step in and achieve the life you deserve contact Erica on 07810 640685 for a free consultation. The symptoms list is is merely an indication of problems treated using hypnosis. The kind of problems that affect people over their lives are endless and it is therefore important that you do not think you are the only person suffering with whatever problem it is that you have. The first step to finding out about something that you may find embarrassing or difficult to talk about is a leap of faith, and usually when you come to someone such as myself we are fully aware that this step will not have been easy. The good news is that over the years I have helped people overcome all kinds of problems that they too have thought were unusual. Many of my clients say to me, ‘You must think i’m really weird’, or ‘ this seems so crazy I cant believe i’m telling you this’. It is very important to me that my clients understand that they are not at all crazy or weird and that people in general do have, what is to them, unusual experiences; feelings. Take for instance OCD characterised by counting, checking, controlling – there are thousands of people who suffer from this problem, but it has to start somewhere, because no one is born with it. If this is the case then surely the pre-disposition is in any one of us? Check out my symptoms list, and see if your particular symptom is there, I am constantly updating and changing the list, but if you cannot see your symptom – do not despair – just call me, or contact me using my contact form, and we will have a chat about it.